Only a week to go until St. Patrick's Day! I just bought my corned beef today at the grocery store lol. 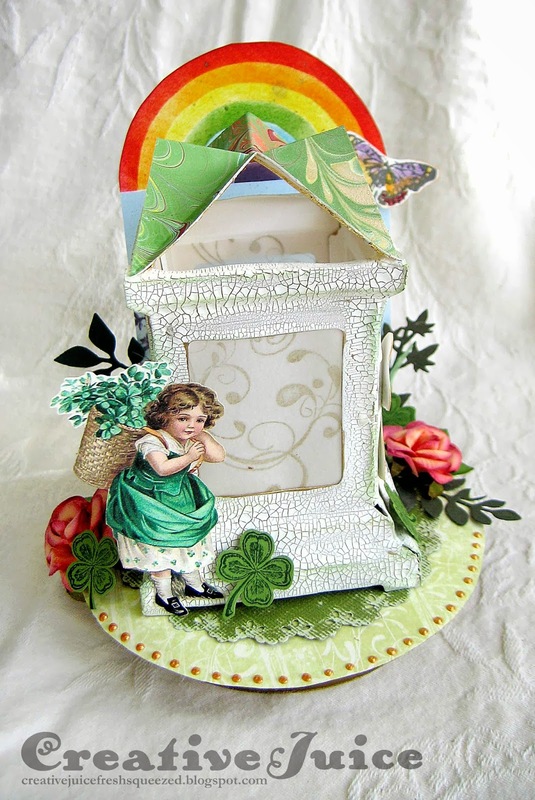 I had an idea to make a St. Patrick's Day themed luminary and I love how colorful and spring-like it turned out. I also wanted to create a fun base for the luminary. I started out with an empty cardboard ribbon roll. I cut a larger circle to glue on top and painted the rest gold. I thought it needed a rainbow (couldn't find the pot of gold though darn it) so I made a little backdrop. 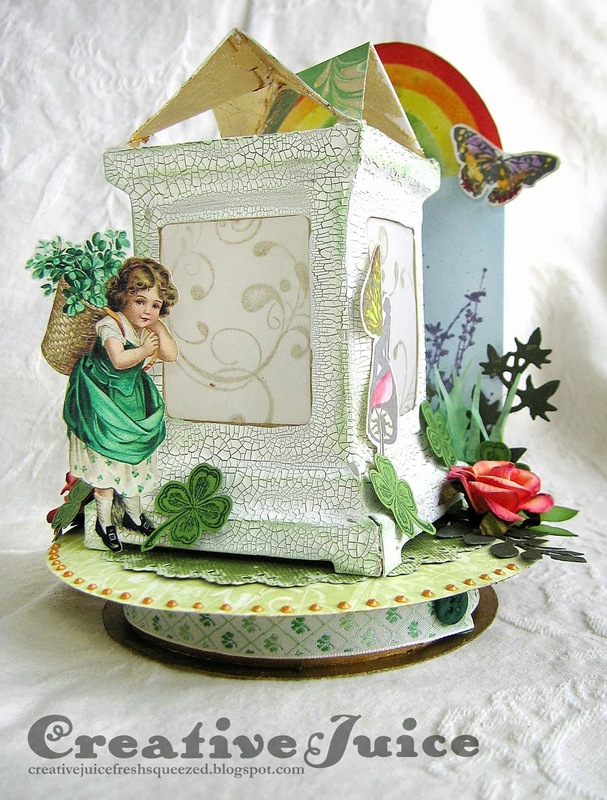 Lots of spring greenery, flowers and clovers make a nice home for the luminary to reside in. I hope you've been inspired by my project. The Luminary die is so versatile! I also want to remind you about the March challenge, A Splash of Color, over at Inspiration Journal. Link up your project there and you could have a chance to win $50 to spend at Inspiration Emporium! Wow Lisa, this is so cool! Who would of thought of making one for St Patrick's day? I love it. Your right, the little lass is a great addition to your luminary. I'm so glad to see you put your own twist on this luminary die !!! I love the cracked effect on it and the images on the window. The white of the luminary with all the green and the dots of red accompany each other perfectly. I also like that you made a display to put it on. It's perfect with the rainbow and the little girl. 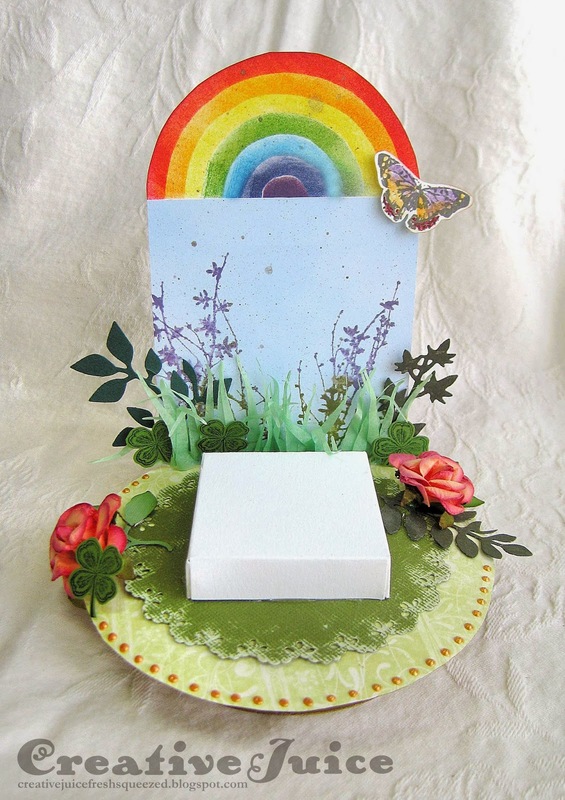 Can you add your creation in the photo-album for the challenge of the 3D luminary die in ATT ? I created this folder to show people the versatility of this die and your project is a perfect example to get people inspired !